Religion and politics should never be mixed. They are like two individuals who never get along. That said, for many in the medium of sound, and specially those who treat radio like religion, the entry of politics into the mix leaves a bad taste. Politics is rampant in the medium and gangs are many. Patience and calm are vital for anyone joining radio. However, whata��s more important is that you need a teflon coating to survive the irrelevant and the obnoxious. A while back, in a video clip, a few a�?radio politiciansa�� and some office boys held up this very same column in protest of something I had written. They were uncomfortable with the truth and hence the childish outburst. Herea��s the amusing part: the ring leader has now been shown the door and the other chamchas are left pretty much faceless. It was inevitable that the station made those changes as no one really has a bottomless bank account. It is on its knees because of a lack of vision and, more importantly, how it went about shopping for talent and delegating responsibilities to the inefficient. Ia��ve noticed another unhealthy trend among radio presenters as well. Some of them dona��t seem to appreciate the accolades their fellow presenters receive. Whether ita��s an award or a pat on the back from the higher ups, it always makes them uncomfortable. So much so that they make it look like theya��ve been wronged. 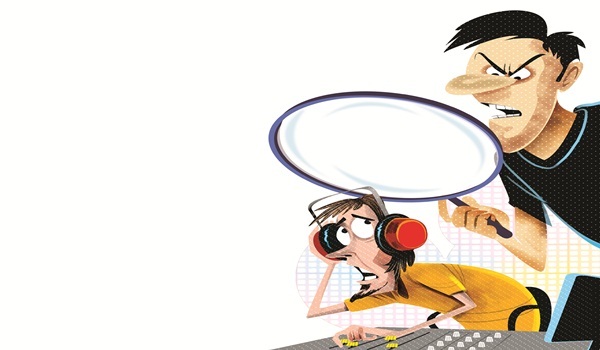 Minding onea��s own business is a rarity in radio. Everyone seems to be peeping into someone elsea��s territory and losing their mind if what they saw looked better than what they have. The ability to appreciate and be classy has long been forgotten. Today, the foundation for radio presenters is extremely slimy and spineless. The way to the top is not about hard work, but how you can be two-faced. A humble requesta��do not vote for that politician in your radio station. The repercussions will be irreversible.